For years, we have known about the damaging effects of ultraviolet (UV) light. Now scientists warn that High Energy Visible (HEV) light may be just as damaging to your eyes and skin. One lens, the new Melanin Sun Rx, protects against both of the damaging forms of light. Melanin, a naturally occurring sun protectant, shields your eyes and the delicate skin surrounding the eyes from the cancer-causing and wrinkle-producing UV and HEV light spectrum. Coppertone Polarized lenses feature patented, premium polarized technology that eliminates 99% of all horizontal glare as well as providing added protection against sunlight related cataracts and macular degeneration. These custom made lenses are truly the next revolution in sunwear and sun protection. 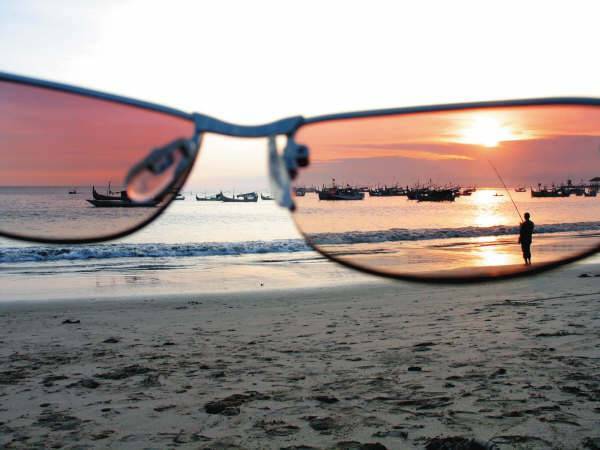 To learn more about South Coast Optometry sun protection solutions contact us at (714) 540-2020.